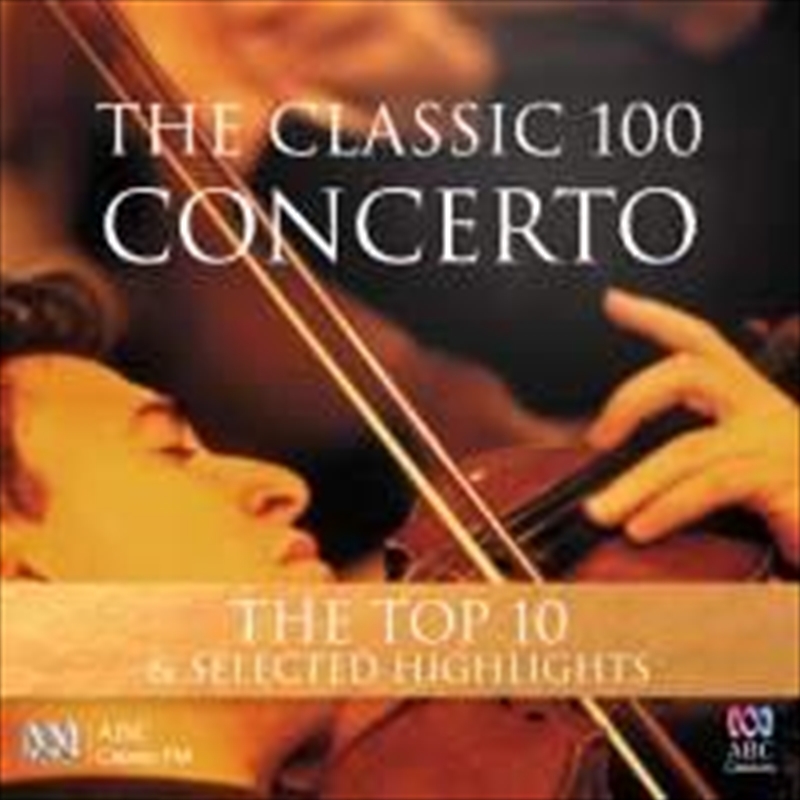 Classic 100 Concerto CD - On Sale Now With Fast Shipping! The concerto has long been one of the most popular musical forms, with its unrivalled capacity for moments of sheer virtuosity as well as beautifully intimate and personal music. The Classic 100: Concerto features the most popular concertos from the Baroque to the present day, as voted for by ABC Classic FM listeners. Unsurprisingly, the great Romantic concertos of Beethoven, Brahms, Rachmaninoff and Tchaikovsky feature prominently in this set of TheTop 10 & Selected Highlights, alongside well-loved works including Rodrigo’s Concierto de Aranjuez and Bach’s Brandenburg Concerto No. 4. Featuring soloists EwaKupiec, Garrick Ohlsson, Gerard Willems and Simon Tedeschi (piano), Richard Tognetti, Dene Olding and NikiVasilakis (violin), Craig Hill (clarinet), Diana Doherty (oboe), Lin Jiang (horn), Li-Wei Qin (cello) and SlavaGrigoryan (guitar), with conductors Richard Bonynge, Stuart Challender, Antony Walker, JánosFürst, Sebastian Lang-Lessing andTadaakiOtaka, and the Sydney, Melbourne, Adelaide, Queensland, Tasmanian and West Australian Symphony Orchestras, Orchestra of the Antipodes, Australian Brandenburg Orchestra and Australian Chamber Orchestra.